Sometimes you like to keep your favorite shops a secret. You want to covet them all your own so no one else will know about them. But where does that really get you at the end of the day? I'm happy (although I admit a bit slow) to share one of my favorite artists, Pamela Sherry. For a few years now, she's made my stylish calling cards that are mini conversations pieces all their own. 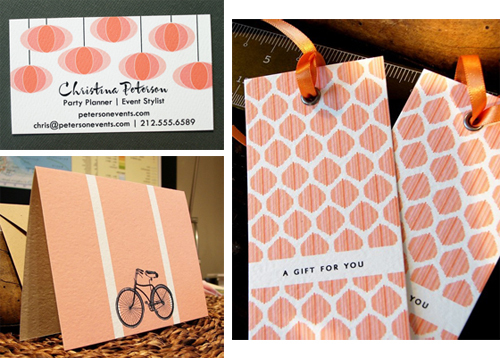 In her shop, Pixel Impress, you'll find notecards, gift tags, invites, calendars and calling cards- all with great color and design choices. My favorite are her calling cards. 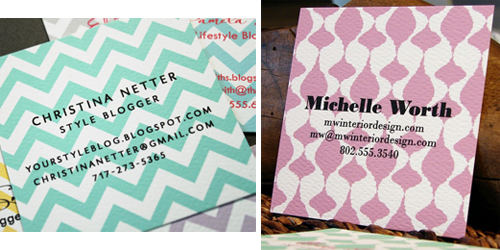 I use the chevron style, seen here on the left, for my personal business card and had all my info placed along the bottom third. I love the design just as much as I love the perfectly square shape- which still fits great in a wallet by the way. When my mom mentioned that she wanted some notecards for her birthday, I knew to go to Pamela's shop. 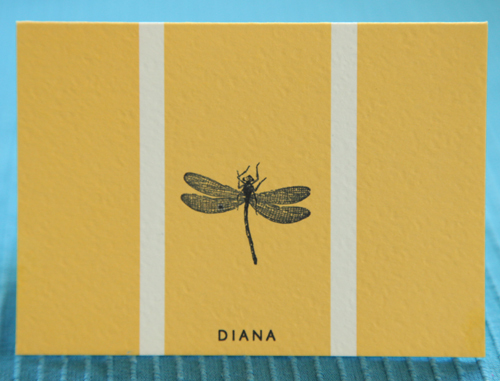 I bought her these cards with a dragonfly design in this pretty and bright yellow. Beautifully made with quality, sturdy paper...and she loves them. 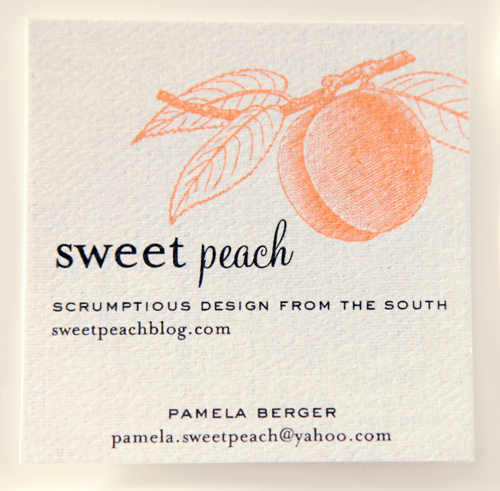 I loved my work calling cards so much, I had Pamela custom make some cards for Sweet Peach. 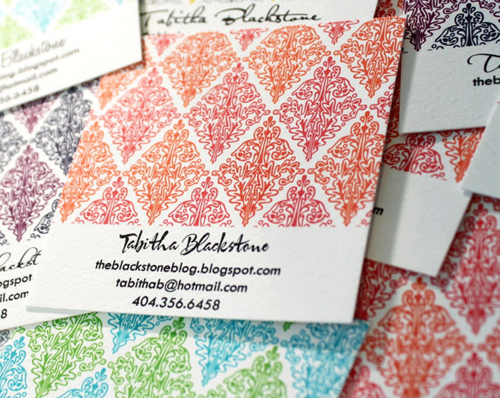 Vanessa (who created my site) designed them and Pamela printed them with ease- and at a great price. Check out her shop to purchase your own unique cards. But shhhh...let's not tell too many people.